This gusseted marvel expands to accommodate a hefty stack of all that plastica [up to 25 cards!] you've accumulated throughout the years [if they're all gift cards, feel free to take us shopping with you]. External clear plastic ID window displays the smiling face on your driving license and can hold 3+ cards. Inside pocket opposite gusseted pocket holds another 3+ cards. 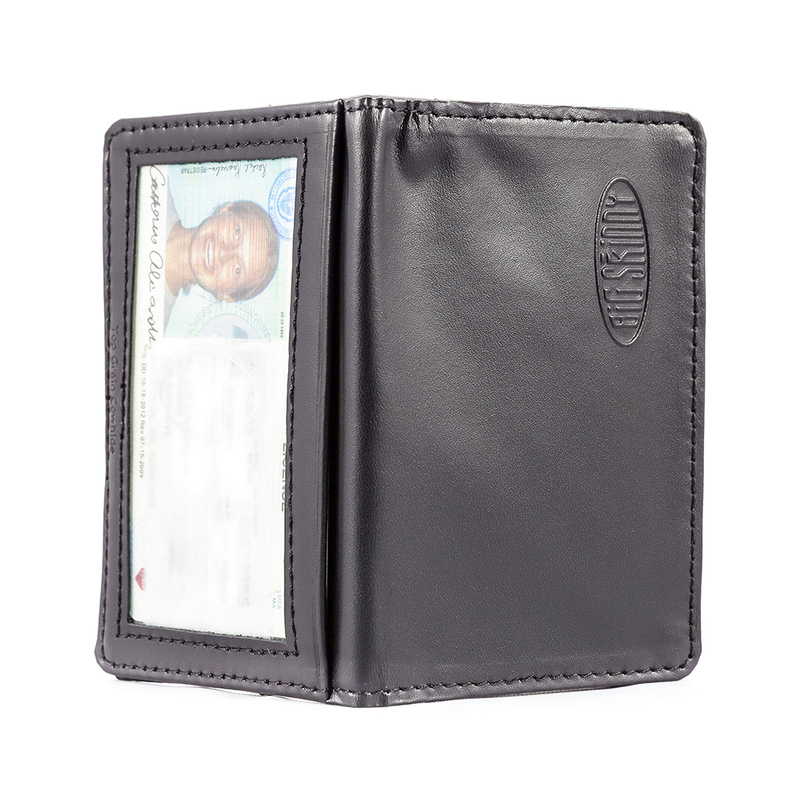 This card holder is the Hybrid version: top-grain cowhide leather on the exterior and ultra-thin, nylon microfiber on the interior. Looks + sensible design. This is my second Big Skinny wallet. The first one lasted over 8 years and really it is still usable. 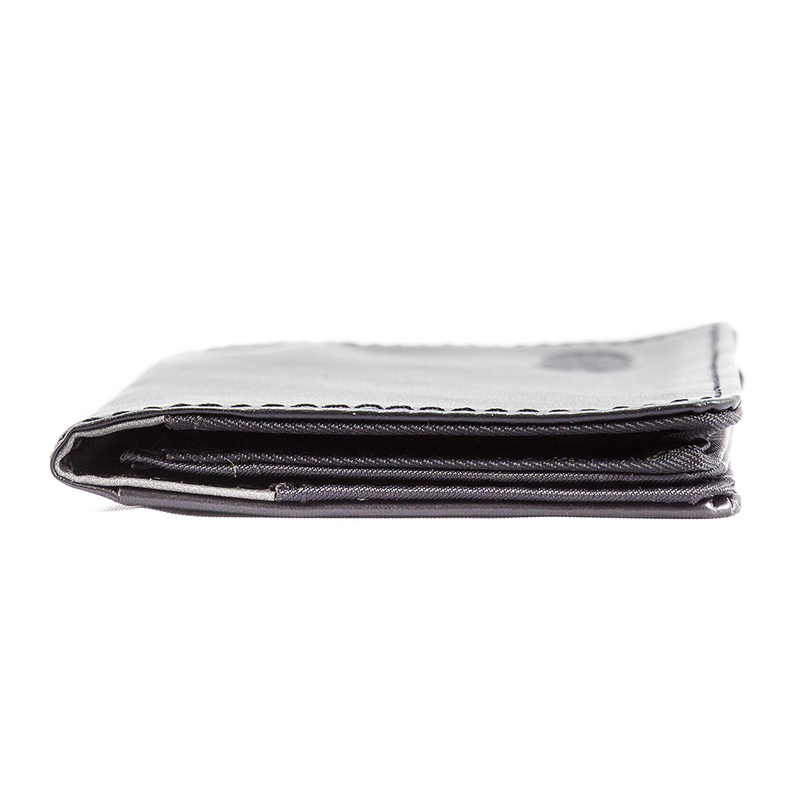 I love the card case because I carry bills in a money clip. I have over 15 cards in it plus business cards (when I use to work). It's very slim and I recommend it highly! The two (2) leather card holder products I ordered was not as perfected as I had wanted. 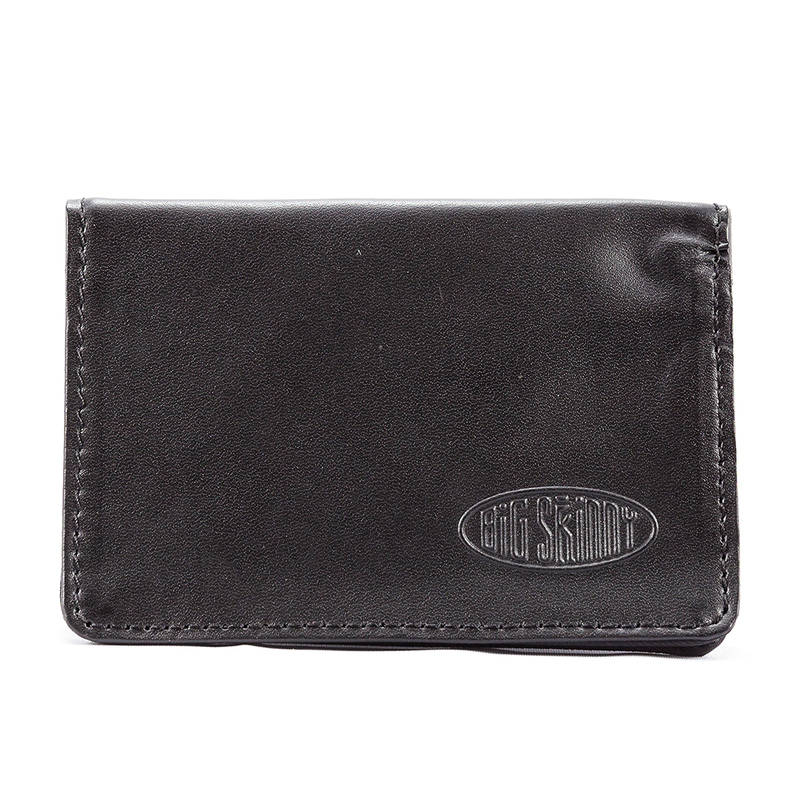 Card holder is as small and thin as it can be, yet can hold an impressive number of cards. They come out easily when you need them, but are held nicely in place. Leather version adds some class. I like this so much I bought it again. Great product. Size is much better than a traditional card holder.... Much less bulky. I've used mine for years, purchased it at a festival and have loved it. Being a prior user of a "front pocket wallet" as I call it this one is the best I've ever had!! I carry all I need with this little guy!! Being a guy that doesn't carry much cash and relies on my debit card and the standard ins card, credit cards and a stack of business cards when I need to make contact with a client it's perfect. ProsExtremely durable, I purchased the leather. It's now 5 yrs old and you couldn't tell by looking at it. It holds everything I need to carry on a daily basis, incl. cash. 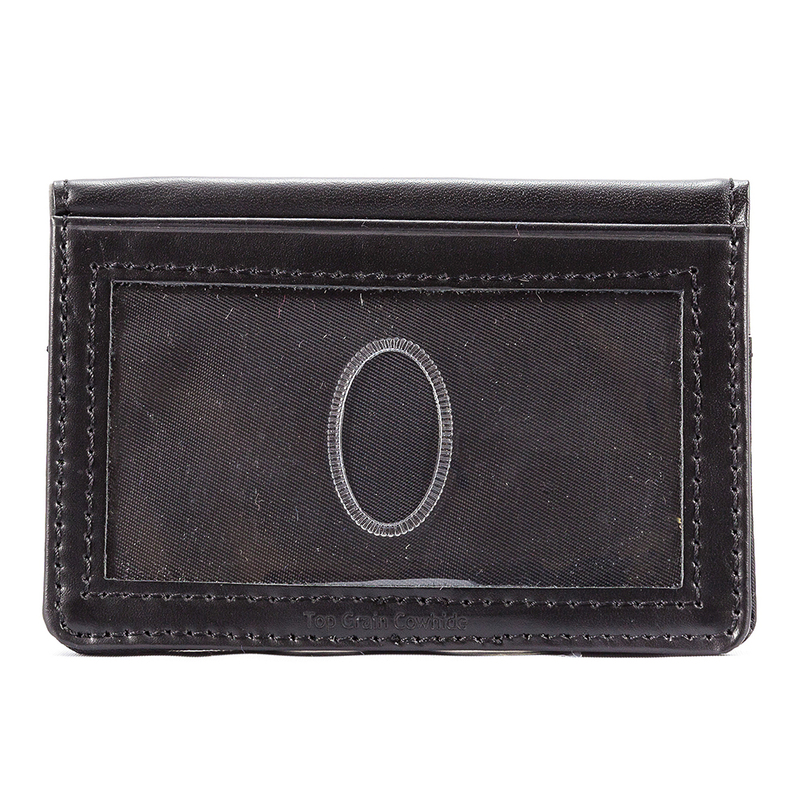 You get so use to the small size that going back to the usual wallet probably will never happen. Great product, great value.